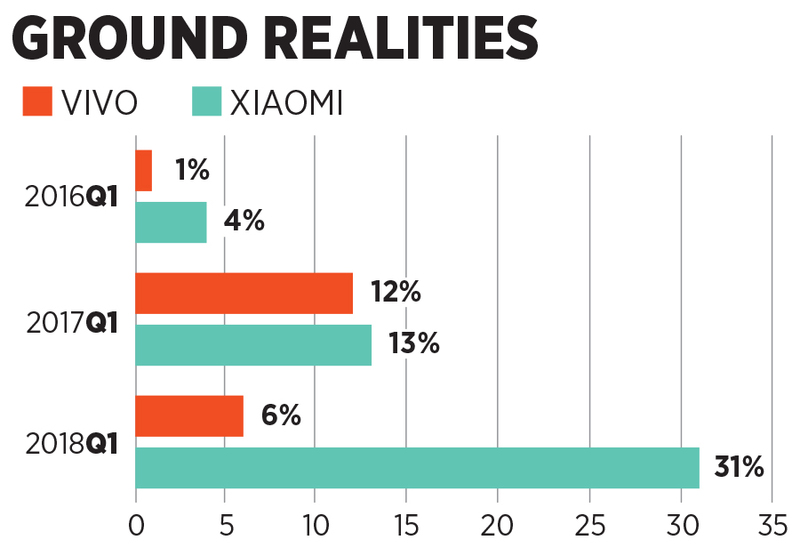 Vivo's market share has eroded by half over the last year. Can IPL give the Chinese smartphone maker a new lease of life? It was October 2015. Vivo, a fledgling smartphone brand from China with little under 1 percent market share in India, stunned the nation by stepping in to bag the contract to be title sponsor of Indian Premier League (IPL) after Pepsi abruptly ended it. The gambit paid off. Vivo leapfrogged to second place in the smartphone pecking order. Emboldened by the result, it made another audacious move: In June last year, the smartphone maker retained IPL's title rights for the next five years at an astounding Rs 2,199 crore, a whopping 455 percent increase over the previous contract. The ploy, unfortunately, seems to have bombed. Vivo’s market share has halved—from 12 percent in first quarter of last year to 6 percent by the end of March this year. 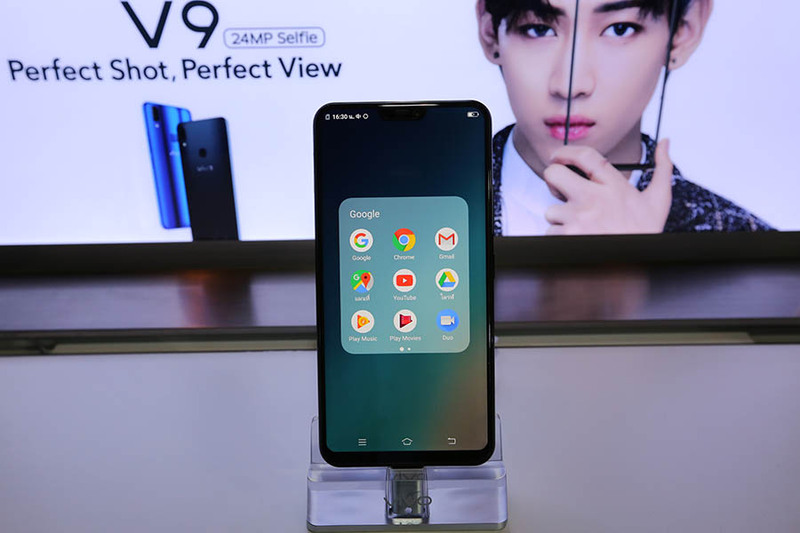 From being touted as a Chinese upstart which had the potential to topple Samsung at one point of time, Vivo, it seems, is fast running out of the beginner’s luck. For the latest season of IPL, it not only roped in Aamir Khan but also bombarded the idiot box, with its V9 becoming the top advertised brand on the television, according to TAM Sports' data for the period of 7 - 15 May, 2018. Can IPL help Vivo reclaim ground? Can it give the brand a new lease of life? Vivo didn’t reply to a set of questions mailed by Forbes India. Marketing and branding experts reckon that it would be a Herculean task for the brand to stage a comeback. Reason: Vivo is again playing the costly marketing game. “I don’t think Aamir Khan makes sense fo the brand. Vivo has got it wrong for sure,” avers brand strategist Harish Bijoor. Though the brand is trying to capture a quick awareness for itself once again, it’s doing so at the expense of high-decibel TV advertising and insane cost of celebrity endorsement. “Gone are the days when you could say that you will spend disproportionate amounts of marketing money on advertising, and then taper it off to enjoy the benefits of brand building,” reckons Bijoor. If you are spending a disproportionate amount on advertising, he lets on, and if you are bleeding, it means your marketing proposition is weak and not working. Though Vivo’s expensive marketing blitzkrieg gets a thumbs down from experts, mobile handset analysts contend that the brand has the intrinsic strength to stage a comeback. “V9 model has given a much-needed momentum to Vivo,” avers Tarun Pathak of Counterpoint Research. While conceding that the brand started with a bang by associating with IPL, Pathak points out that Vivo took too long to refresh its set of models. What also impacted the fortunes of the brand was the fact that Xiaomi managed to aggressively make inroads into the online segment. “If Vivo cracks the online market and rejigs its depth of distribution, it can definitely come back in the reckoning,” he adds. With IPL entering into the final leg, Vivo would hope that the momentum provided by T20 tournament would help it bounce back. Will acquisitions help HCL overtake Wipro?